This year I wanted to make an advent calendar, but I wasn't sure what I wanted to do for each day. I wanted something simple enough I could really do it everyday. So I decided on music. I love Christmas music and my favorite part of Christmas Eve at my parents' house is singing all the Christmas carols. This was a great way to celebrate and appreciate the music all month long. 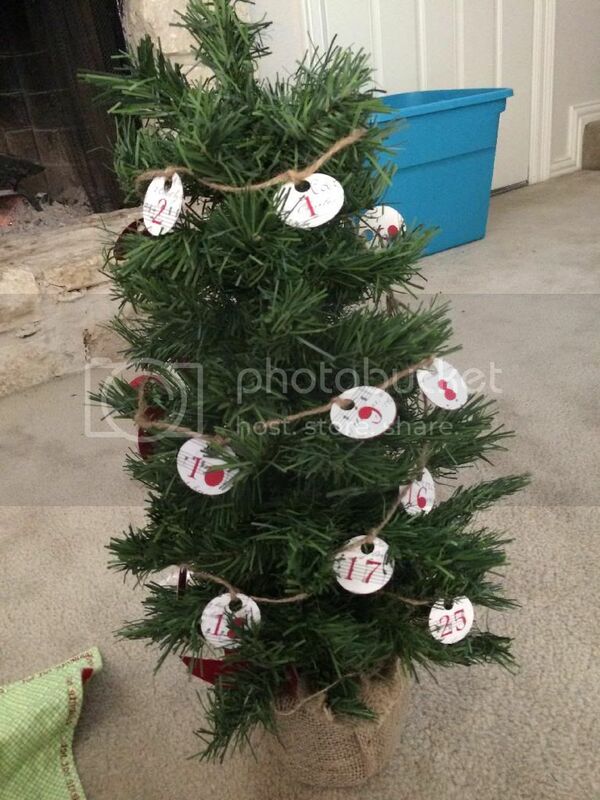 I thought it'd be fun to put the countdown on my mini Christmas tree as a garland. First, I found some vintage Christmas sheet music and printed it onto cardstock. 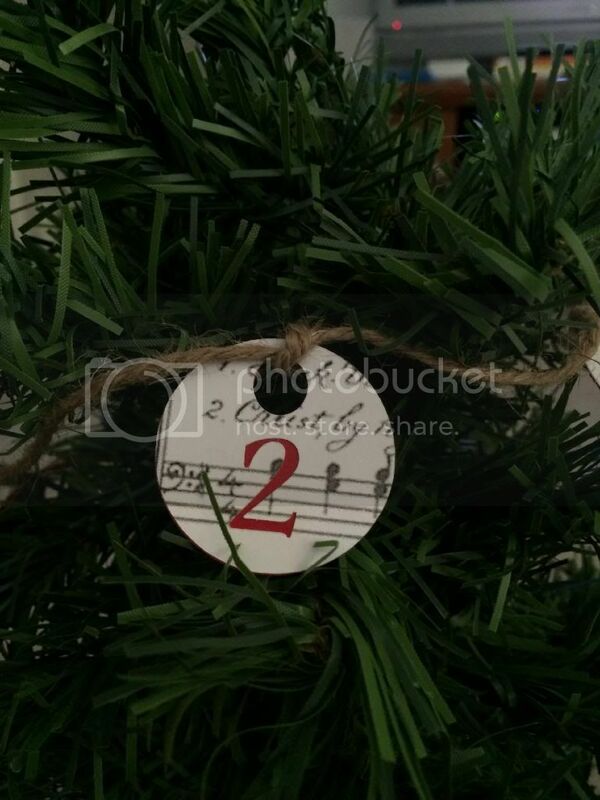 Using my Silhouette, I cut out circles from the cardstock with the numbers counting down to Christmas and small holes at the top of each circle, to attach them to the garland. I also cut red circles. I wrote two song titles on the red circles, one a Christmas hymn and the other a fun Christmas song. 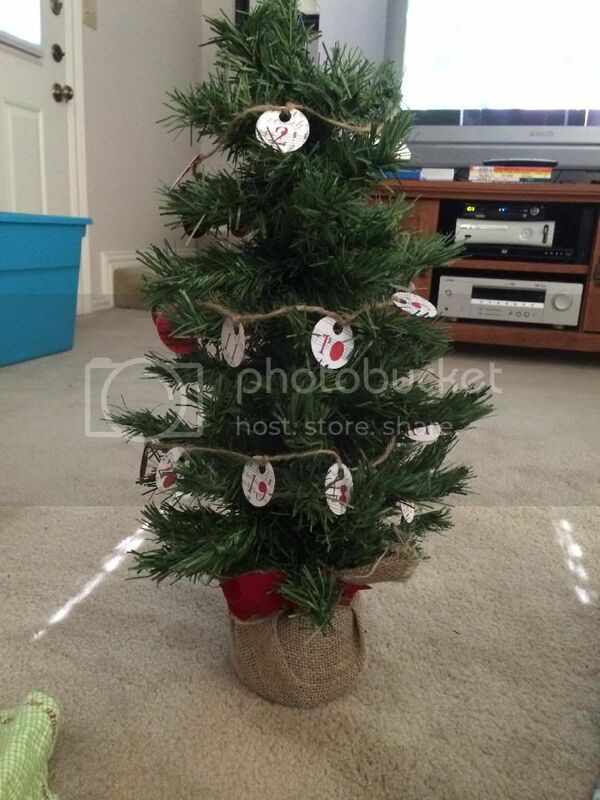 Finally, I glued the red circles on the back of the printed cardstock circles and tied them onto twine to make the garland. Now each day we can sing those songs and, if I'm feeling ambitous, I can research about these songs or read coordinating scripture references (found in the LDS hymnal at the bottom of the page, helpful!). Wow! We must have a psychic connection!!! 13 Fun Ways for Kids to Show Gratitude!